It’s cold, it’s a long weekend. Some extra advice about last week’s recipe. 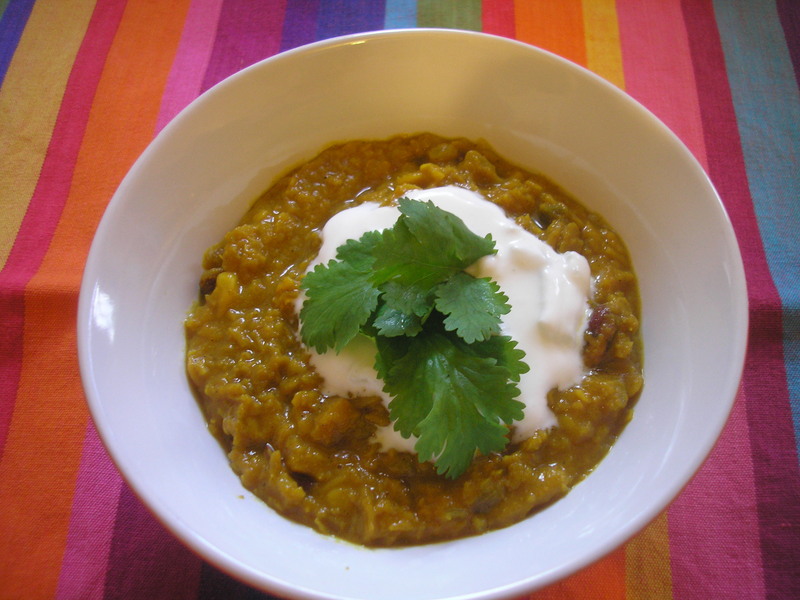 Use mung dahl instead of red lentils to get a more vibrant yellow colour. Don’t use cayenne pepper (not an Indian spice), but add extra green chilli. Don’t use vegetable stock, just water is ok. Put a bit more salt in the dahl. So, here in Perth, nights are cooling off (I know, nothing like in Tasmania!) and we are going to have 7C tonight! Yeahhh! Rejoice! Time for extra doonas, blankets and fabulous onesies…! And time for some serious slow cooking. 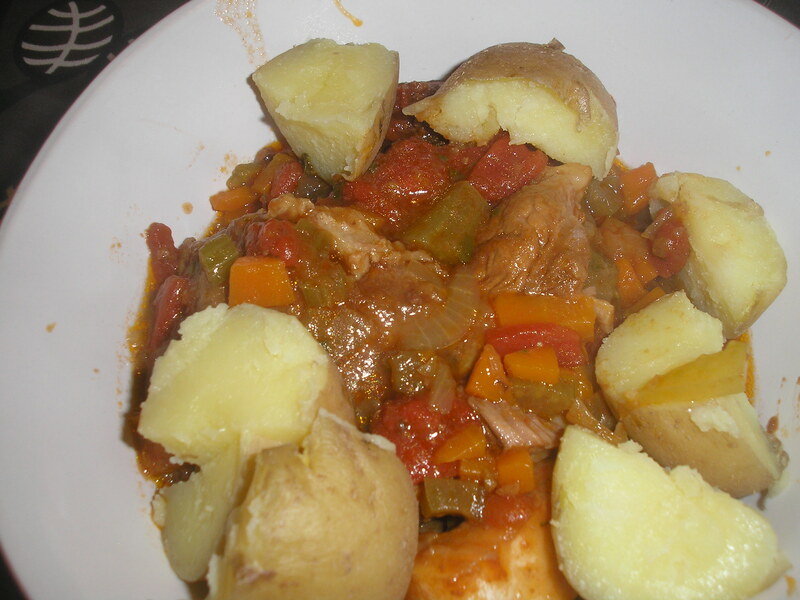 So this week’s recipe is one of my favourites: OSSO BUCCO. I always make it for the annual Italian dinner. 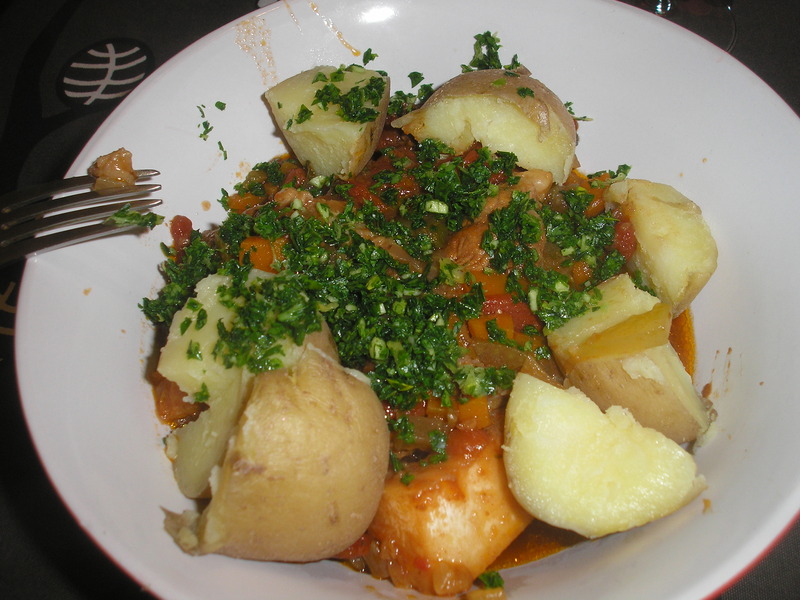 This is the classic version (as opposed to the Asian-style osso bucco recipe posted earlier in April). This is a Women’s Weekly recipe (can’t remember from what book, probably a slow cook one). Heat a third of the butter in a large saucepan. Cook carrot, onion, celery and garlic until onion is lightly browned and soft. Remove from heat. Transfer vegetables to a large ovenproof dish ( I used a big roasting pan). Coat veal with flour; shake away excess flour. Heat remaining butter and oil in same pan. Add veal; brown well on all sides (do this in several batches if your saucepan is not big enough). Carefully pack veal on top of vegetables. Preheat oven to moderate (160C). Drain fat from pan. Add undrained crushed tomatoes, wine, stock, basil, thyme, bay leaf and a strip of lemon rind to same pan; bring sauce to boil. Pour sauce over veal. Cover ovenproof dish with lid (or alfoil if using roasting pan); bake in oven about 1.5 hours or until veal is tender, stirring occasionally. To serve, sprinkle with gremolata. To make gremolata, finely chop the garlic, parsley and lemon rind. I used beef osso bucco and I bought 6 pieces, which just fitted in the roasting pan. I find that by using a large and deep roasting pan, the 3 layers (veges, meat and sauce) fit nicely and the meat stays flat, so you can serve each person a whole piece of meat with the bone in the middle (aaahhh, sucking that marrow!). I cooked the osso bucco for 3 hours, I always cook longer than the recipe says and usually reduces the temperature to 150C in the last hour of cooking. I also didn’t stir it while cooking, just let it on its own. A purist would say serve it with risotto Milanese. I’m not, and I don’t like risotto. So boiled potato it was. But you could serve it with polenta or mashed potato. From Kaz Cooke’s “The little book of household madness”. Oil your gardening tools regularly. If you run short of butter, you can just rub your bread rolls over the secateurs. Clean out the gutters every couple of weeks, applying household bleach with a toothbrush to get them really gleaming. Pruning: why not hack into the garden every time you’re in a bad mood? A chainsaw will give you that extra oomph. If very annoyed, douse trees with petrol and set alight. I find that lately my life has been a bit boring. Too much work and not enough fun activities. No need to say, this the pick of the week (although, a new set of strap crampons would definitely add an extra challenge to my zumba classes…). This is last week’s recipe that I haven’t had a chance to post. It’s a DAHL recipe from Karen Martini’s cookbook “Everyday”. Heat the oil in a large saucepan over medium heat, add the onion, garlic and ginger and cook, stirring often, for 6 minutes until the onion is translucent. Stir in the chilli and spices and cook for another minute. Stirring constantly, add the stock, red and brown lentils, kidney beans and salt to the pan. Bring to the boil, turn down the heat to low, cover and let the soup simmer for about 20 minutes, or until the lentils are very tender. Stir in the tomato paste and cook for several minutes more until it is a thick, soupy consistency. Add water if necessary. Serve topped with coriander, yogurt, a squeeze of lemon and flat bread alongside. I made only half the recipe, and that was a lot! I think if you make the whole quantity, you can easily serve 6 as a main or 8 as a side dish. I made my own version of raita to serve with the dahl: yogurt, garlic, cucumber and salt. I also don’t like brown lentils, so I used toor dahl instead (which is a kind of lentil but yellow). It needed more cooking time for the toor dhal to be tender. Make sure you keep an eye towards the end of the cooking, because the dahl thickens quite quickly and you don’t want it to burn at the bottom of the saucepan. From Kaz Cooke’s ” The little book of beauty”. Draw a dark brown line around your mouth, about half a centimetre wider than your actual lips. Now fill in the area between the lines with pale pink lip gloss. Classy. For a special nightclub look, roll in some butter and then hundreds-and-thousands sprinkles. In bad light the results could look like body glitter. How do you carry all your make-up needs when you are out and away from your bathroom cabinet? Why not have a small suitcase on wheels attached to your belt with a leash? Porridge and stewed plums, miam miam!